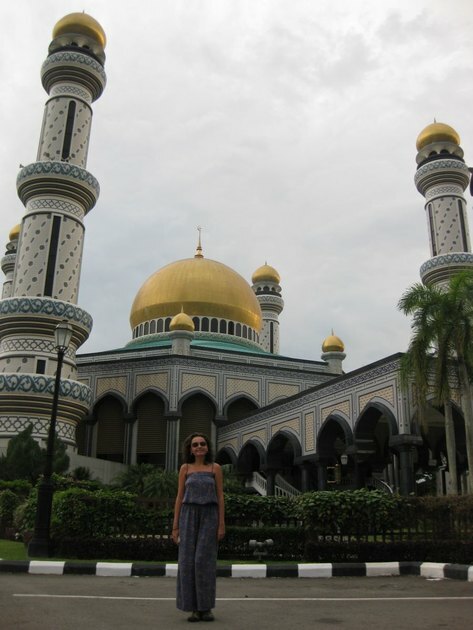 Brunei – A Place Like No Other? It is considered the 5th richest country in the world. And, by looking at the beautifully decorated Government buildings I can see some truth in it. 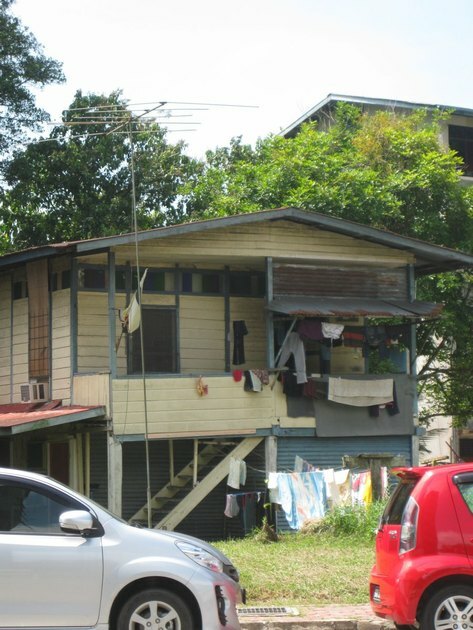 However, as I soon discovered, the daily life of the people of Brunei, is a completely different story. First, their houses…Well, to me they looked more like slumps. Fear and to some extent, indoctrination stops the people of Brunei from criticizing the mighty Sultan. Its power and grip on the country can be felt everywhere you go. There are pictures of the royal family at the airport, on the streets, in the mosques. There is even a picture of his Majesty private jet on the ceiling of the one and only mall. Well, the sky is no longer the limit. All the time while I was there, I couldn’t stop thinking of the communism regime. So, long live the King but I won’t have any pictures with his Majesty. And, as for many other rich people, enough is not a word part of the vocabulary, to keep the riches within the family, the Sultan even married someone within the royal family. Why share if you can keep it all to yourself, he must have thought. 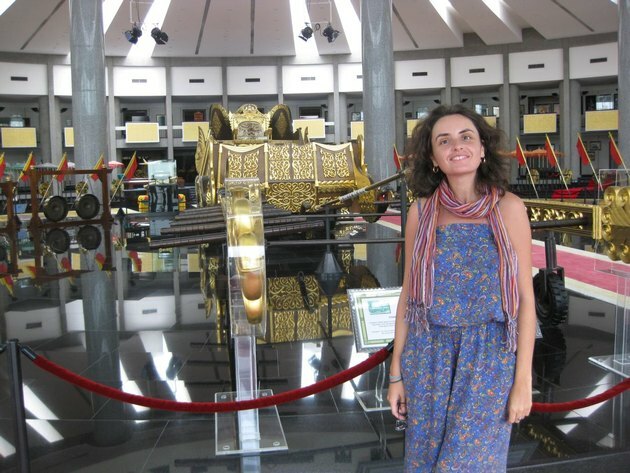 You can learn more about the Sultan’s life and see a collection of royal regalia at the Royal regalia building. 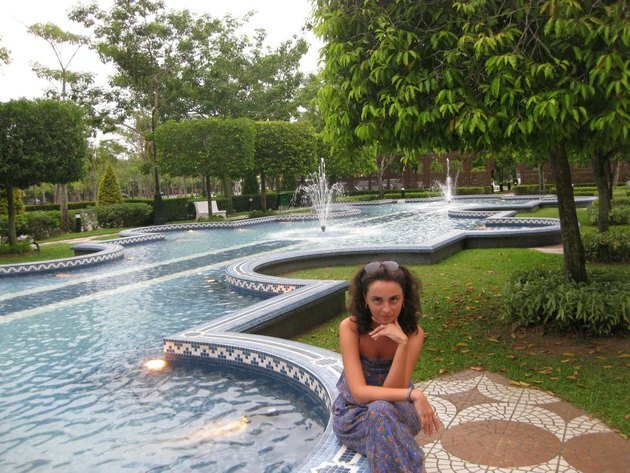 The sheer opulence of the place will surely impress. Or, if nothing else, will provide some respite from the oppressive heat. A word of caution: you cannot buy any alcohol or cigars in Brunei. So, leave your sins at the airport and consider yourself in a detox clinic. The question was could I take back to Australia some petrol? At 50 cents per liter it was a question worth considering. 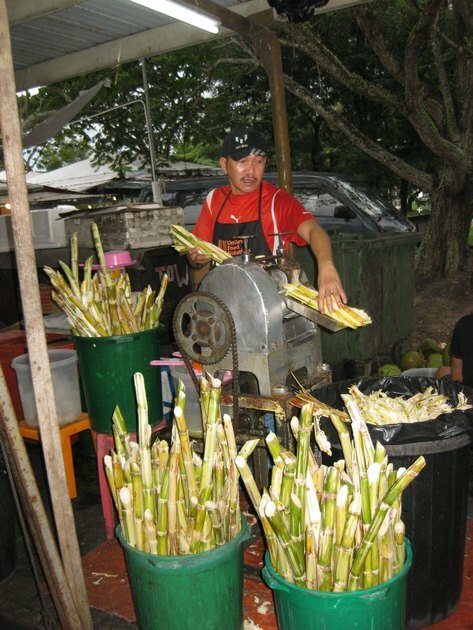 The best food I have tried in Brunei is at the Gadong night market. 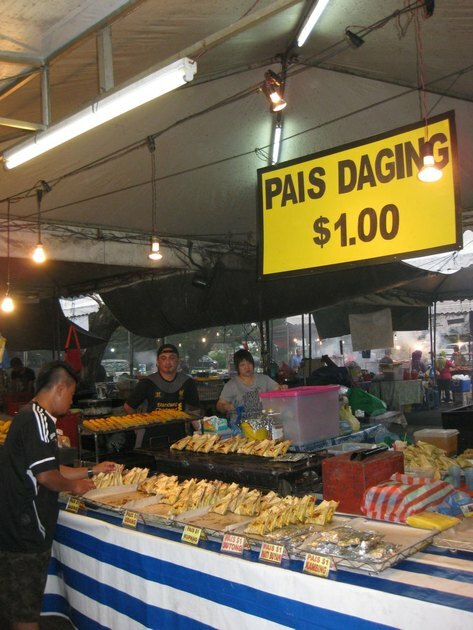 For $1 and $1 only you buy small bags of delicious food cooked on the spot. Suffice to say, that desperate to try everything I left the market with about ten bags with ten different Malaysian dishes. And ten proved to be my lucky number. The food was scrumptious! 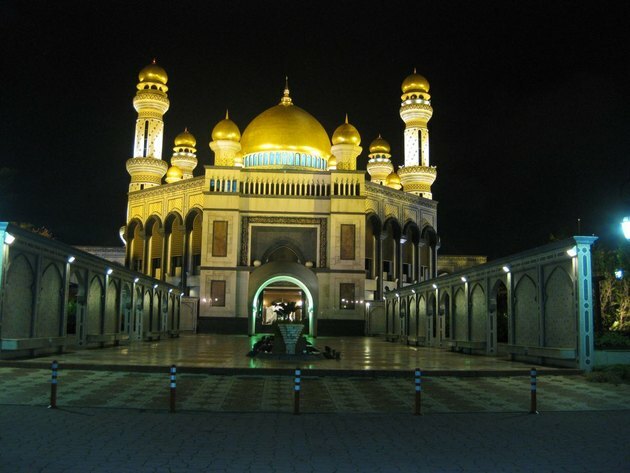 There are two famous mosques in Brunei: The Omar ali saifuddien mosque and the Jame asr hassanul boskia mosque which is famous for its golden doms. 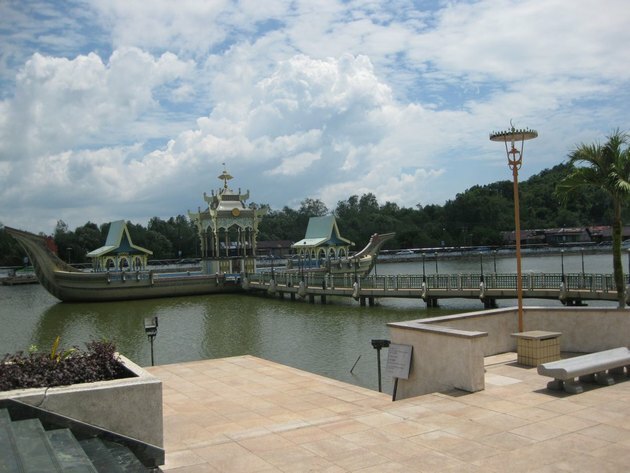 The last one has two entrances: one for the regular people of Brunei and one for the sultan. Trust me you will know which one is which. The one for us, the regular people of the world, looks more like a back door, while the one for the royal family is imposing and beautiful. Apparently even in front of God, Allah or whatever we might decide to call the All Mighty, the Sultan does not believe we are all equal. 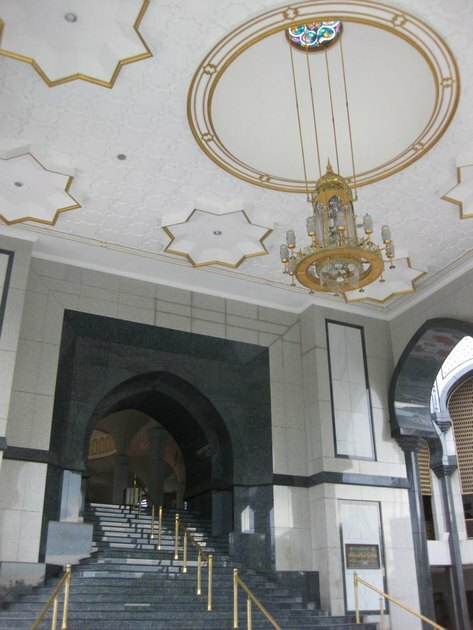 Inside, the opulence of the mosque made me feel uneasy, crushed, sad. I did not perceive the mosque as a gathering place for prayer, but more as a sign of the Sultan’s powers. If I had to draw a parallel it was like entering into a big beautifully built house where despite all the riches you do not find happiness or peace and you do not feel at ease. You miss a warm hug, a genuine laughter and true love. Maybe from the Sultan’s entrance things would have looked a little bit different…But, I doubt. The Kampong ayer in Brunei is the worlds largest water village and is home to more than 30000 people all living on unique wooden houses on stilts over the Brunei river. Everything is very close in Brunei so two days will be more than enough if you want to see everything. The transport system is almost non-existent and you are lucky if you find a taxi. At one point I was considering spending 10 days in Brunei. What a mistake that would have been! This was my Brunei: a sad place, full of restrictions, with not too many things to do or see, except a Sultan whose image is absolutely everywhere.